Our “Mad Beasley” as he is affectionately known, provides a unique assortment of hands-on and mind stimulating projects for kids of all ages. Mad Beasley’s live presentation are an art form of theatrics with a touch of comedy. The kids are mesmerized and the parents are amazed at his MAD Show. 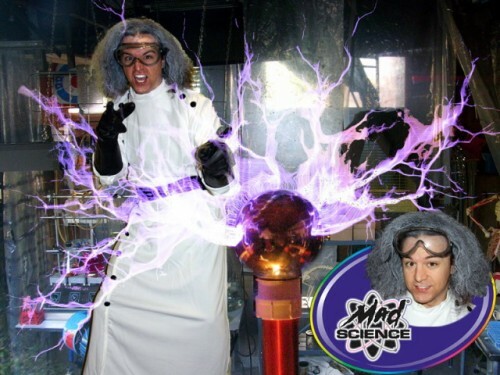 Contact us today by filling out our Request a Quote form, if you are interested in our Weird Science Guy performing at your next party or event!